2018 New L-track 4 rollers Shiatsu massage nodes from neck to buttocks with fully adjustable width, height, and timer function. 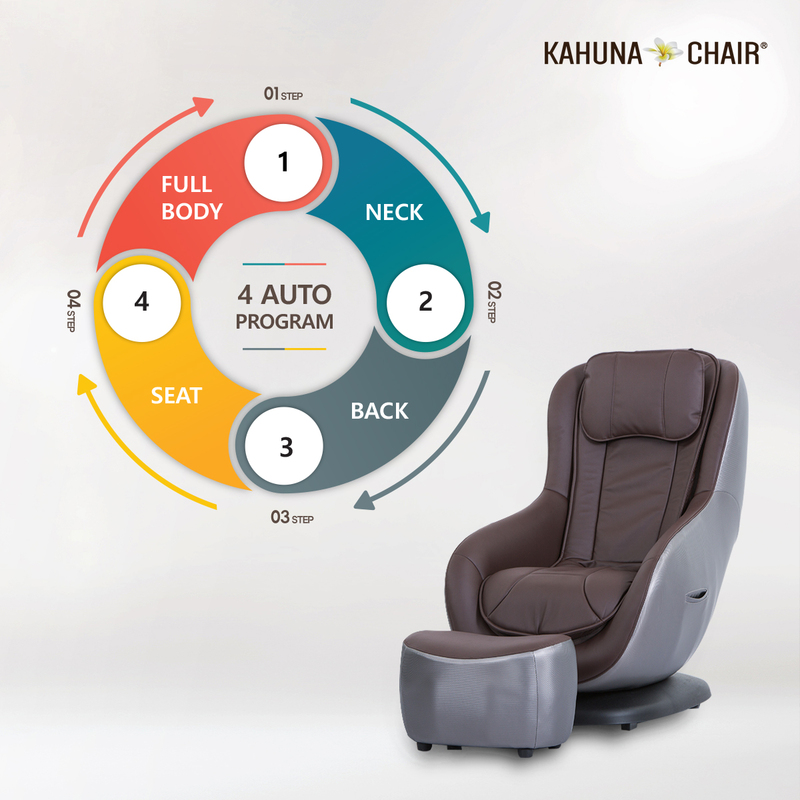 All-in-one compact massage chair. 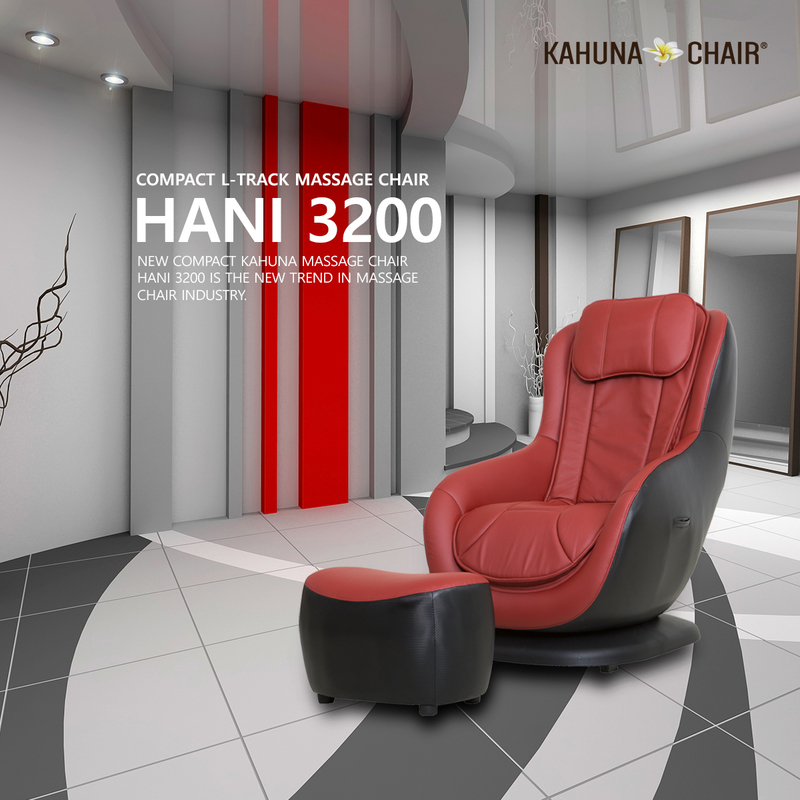 HANI is made to fit in small spaces and perform very high qualities of massages from neck to buttock. 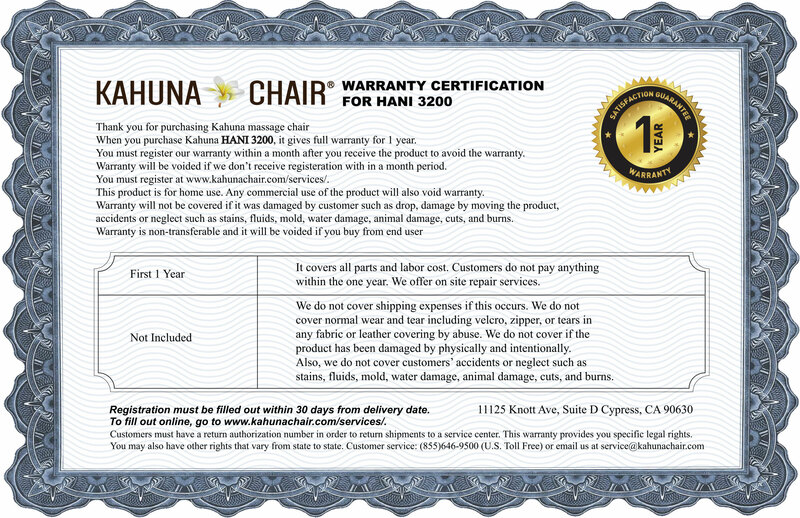 New compact kahuna massage chair HANI 3200 is the new trend in massage chair industry. It has many attractive features that customers love. Check the Description below! 3 different types of massages including Knead, Tap, and Percuss. Also includes Up, Down, and Area button to customize where to target the massages. HANI Kneading is a circular technique by which the skin and its underlying structures are moved in a circular rotating motion on the underlying structures. The tissue is lifted and rolled away from the bone, and then back towards the bone with a squeezing compression action. Most effective way to lossen tight muscles and increase blood flow. HANI Tapping is a set of tapping techniques which utilize the body's energy meridian points. HANI Percuss is conducted in the form of rapid movements over specific areas of the body for relatively short but even sequences. Percussion massage is known to relax tense muscles by providing maximum comfort to your back, neck, and shoulders. 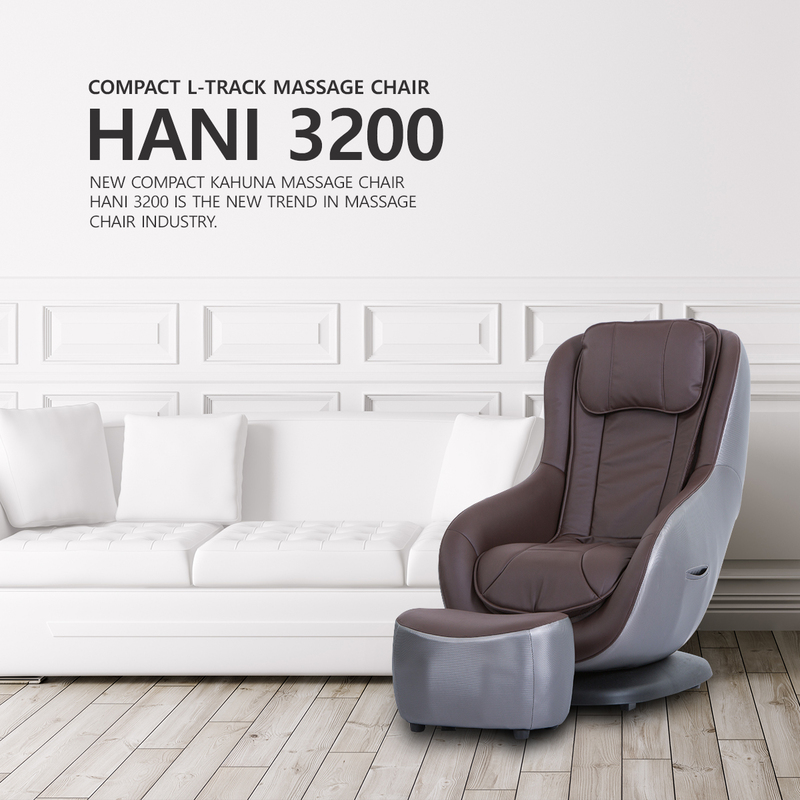 HANI3200 uses massage system that goes into standard size massage chairs unlike other compact massage chairs. 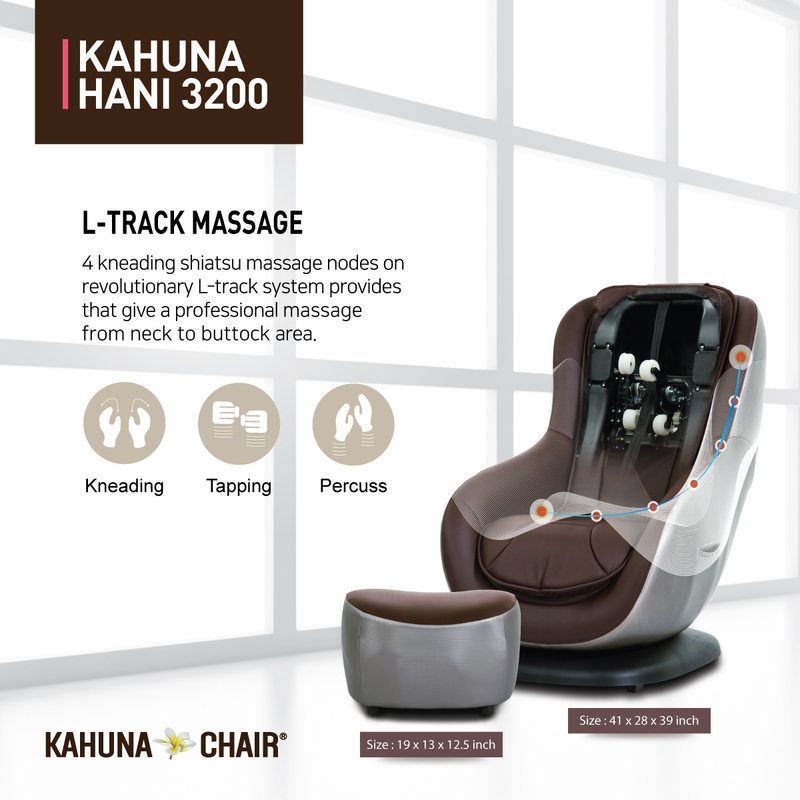 4 kneading shiatsu massage nodes on revolutionary L-track system provides that give a professional massage from neck to buttock area. 4 Different auto programs that target different area's of the body which includes Full Body, Neck, Back, and Seat. 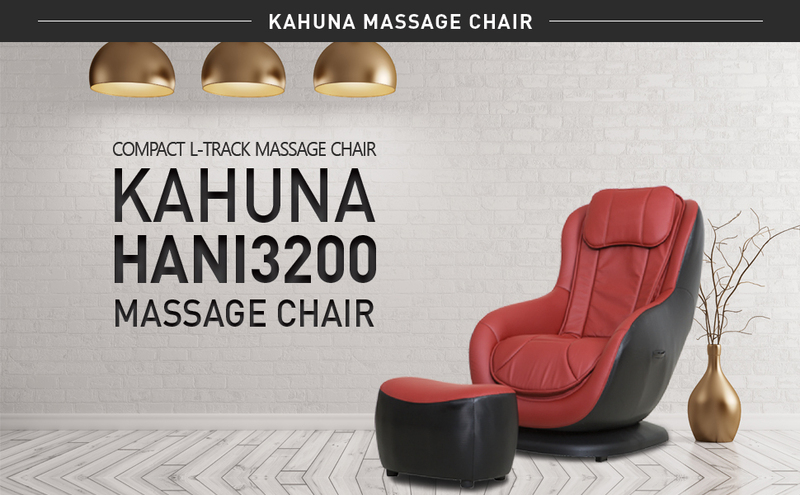 pressure and heart rate, encourages relaxation and relieves stress. tension on stressed muscles during the busy days. Great program for office workers or who gets high level of stress in daily life. increase blood flow and circulation. Back massage will decrease tensions in the massaging area and improves your posture and flexibility. Seat - Focus on the buttocks area will help alleviate the pain and tensions associated with tight glute muscles. Gluteal muscles are used almost every movements of the human body. 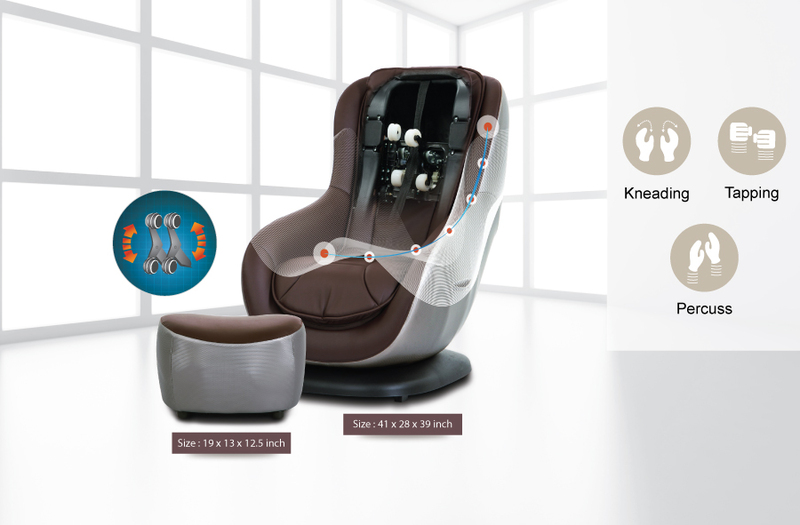 Specialized seat massage will increase overall comfort by relieving core tension. Also, seat massage can increase lymph circulation as well. 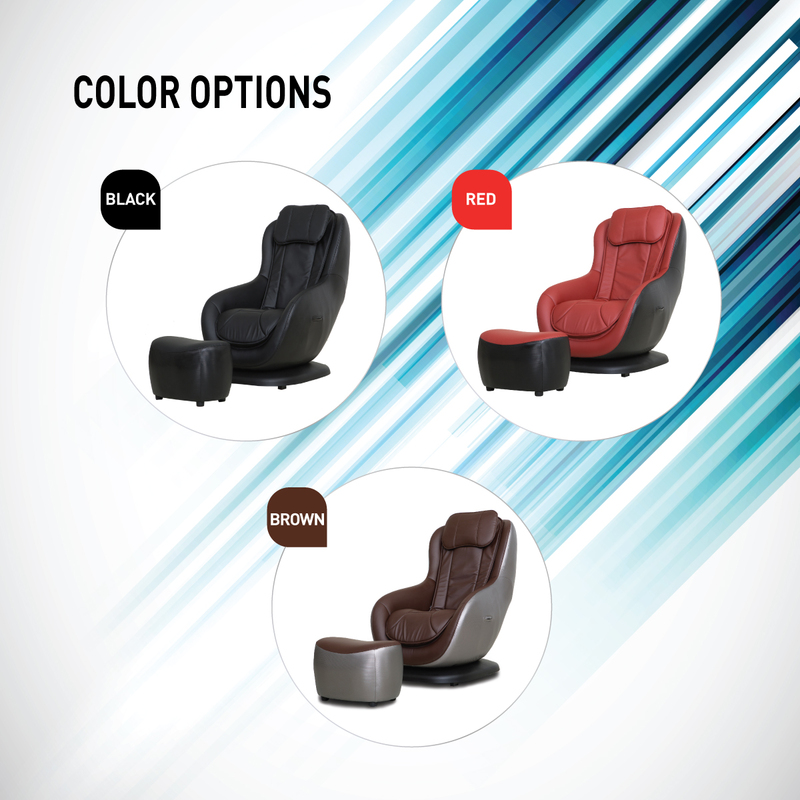 Black, Red, Brown chair color options with ottoman. 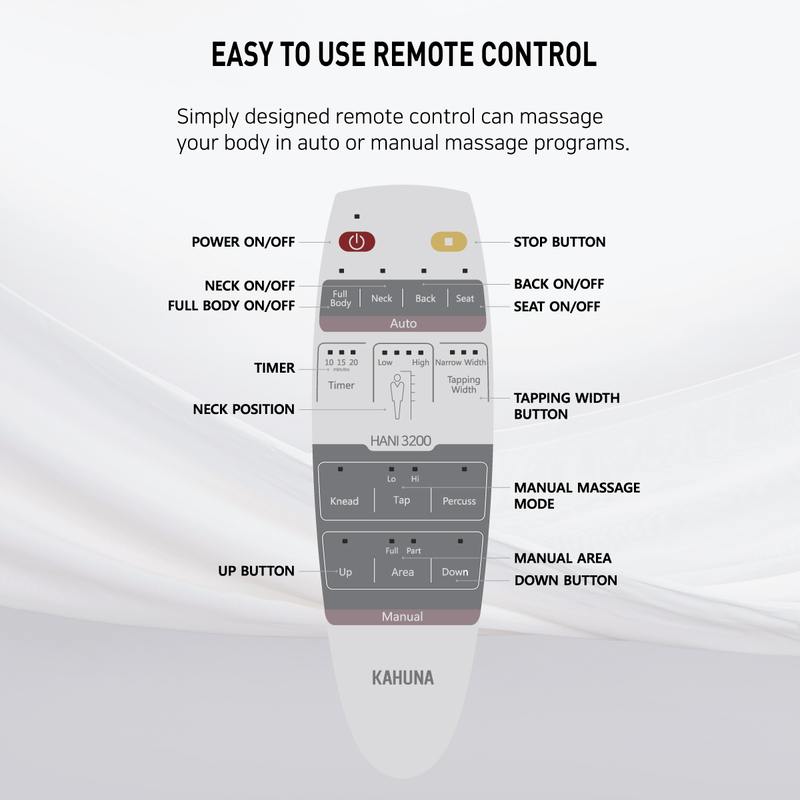 Simply designed remote control can massage your body in auto or manual massage programs. Improve overall health by increasing blood flow and oxygen level in blood. Massage from your neck to buttock with strong firm rollers. A stylish user-friendly remote that can be easily operated by simply choosing what you want. tired muscles. Relaxed stiff and aching muscles. Effective full, partial fixed massage. Open-ended Shoulder - 24" Seating 19"
41" X 28" X 39"